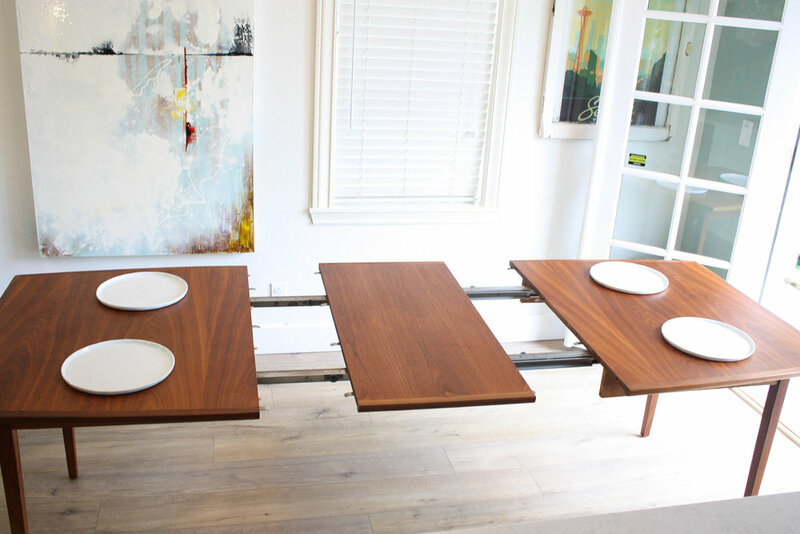 Kipp Stewart for Drexel Declaration Line walnut dining table. Features two leaves that can be insterted in a jiff to bring the table from a 6 seater to 12. Solid walnut legs, bookmatched grain, and easy sliding metal rails show the superb craftsmanship and thought behind the design. Gorgeous. Modern. Simple. And in excellent shape to boot. Peep the photos to see how pretty she is. 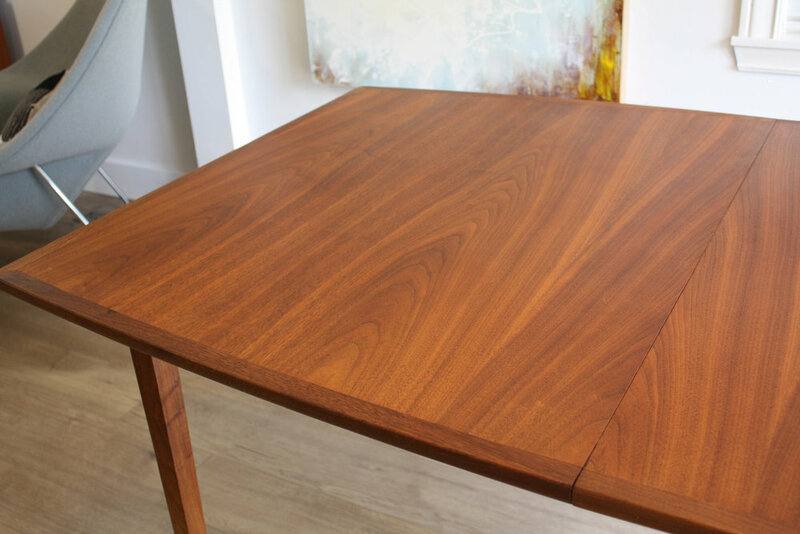 Walnut tables don’t come around often, so we are thrilled to have this one. 60” At Smallest to 96” extended (two 18” leafs).